Love and adoration are in the air in the major cities of Azeroth… and in celebration of the occasion, you’re invited to share candy, perfume, and gifts with guards, townsfolk, and other players for special rewards. Be cautious, as the season’s spreading joy seems to have nefarious undertones. 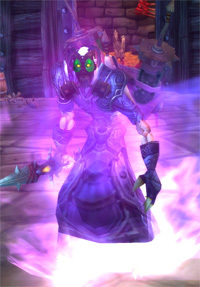 Recently, a strange "love sickness" seems to cloud the hearts of many of Azeroth’s people. Is this widespread incident simply an outbreak of amore? Or will you and your fellow brave adventurers uncover a dark secret behind this plague of passion? Seasonal Boss: Use the Dungeon Finder to participate in a high-level encounter against Apothecary Hummel, granting a Heart-Shaped Box (which contains special holiday loot) as a daily reward. 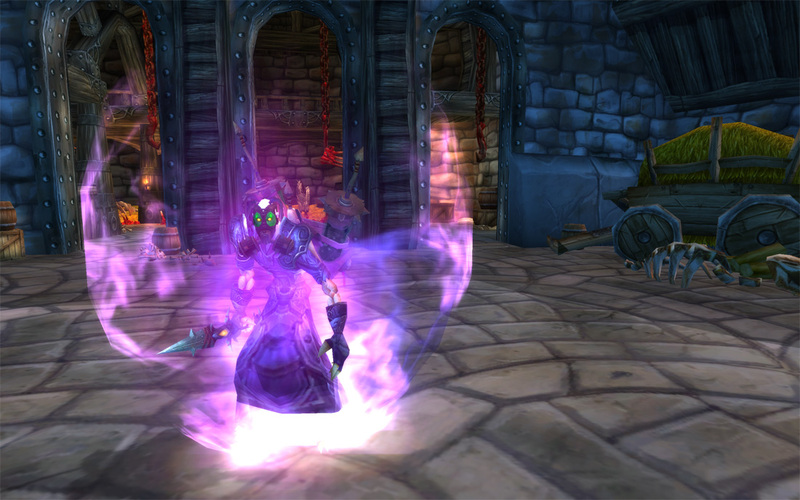 Of course, useful high-level loot will also drop when you vanquish Apothecary Hummel. The Apothecary has grown in power to take on max level heroes, so you must be level 89 to join the fight. Main Quest Line: The Steamwheedle Cartel suspects there's something shady about the goblin newcomers of the Crown Chemical Company. Investigators have been hired to get to the bottom of things – with your help. Daily Quests: Complete special daily quests to obtain experience, money, and Love Tokens to purchase holiday items. 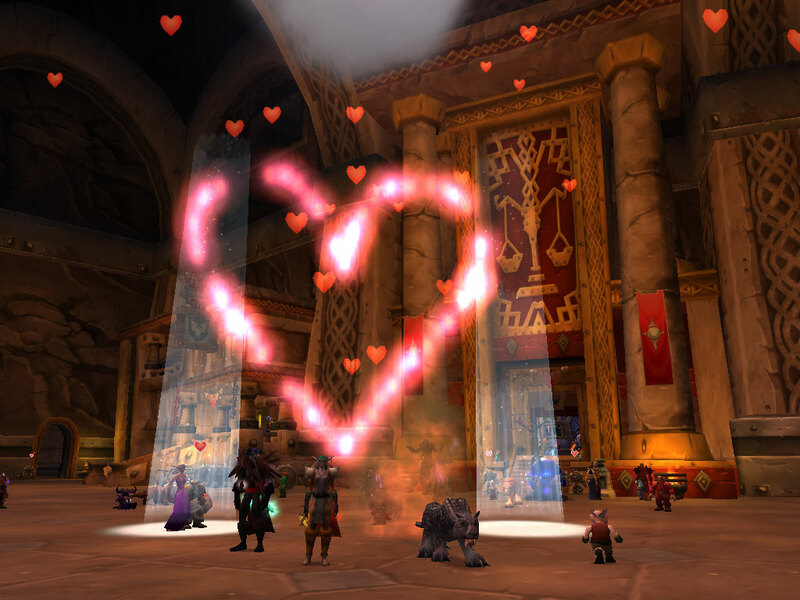 For detailed information about the quests, check out the Love Is in the Air guide on our partner site, Wowhead. Swift Lovebird: Take to the ground atop this pink, flightless bird, sure to set the mood for any acrophobic romantic engagements. Available for Love tokens at your faction’s Lovely merchants, NPC vendors located in capital cities. Truesilver Shafted Arrow: Summon a lil’ winged goblin of love by spending Love tokens at your faction’s Lovely merchants, NPC vendors located in capital cities. Romantic Picnic Basket: Enjoy a lovely meal with your closest companions. This cute picnic basket that can be purchased with Love tokens at your faction’s Lovely merchants. Forever-Lovely Rose: Wear this rose tied in your hair for female characters, or in your mouth for a male character. This item has a chance to drop from the Heart-Shaped Box, a daily reward from the Dungeon Finder for defeating Apothecary Hummel. The Heartbreaker: This strange experimental device has a chance to drop from the Heart-Shaped Box. Vile Fumigator's Mask: Open the Heart-Shaped Box from Apothecary Hummel and you might find this creepy mask that Royal Apothecary Society members wear. Dinner Clothes: These classy suits and dresses can be bought from faction’s Lovely merchants for Love tokens. Titles: If you complete the fifteen Achievements of Love Is in the Air, your character will gain the special title The Love Fool. Seasonal bonuses: You can receive different kinds of valuable buffs for your character in the form of candy found inside a Box of Chocolates. Achievements: Love Is in the Air currently offers a total of 160 achievement points, split over 15 achievements and 1 meta-achievement. Check out our Love is in the Air gallery!